First Grade Garden: Kites, Letters, and Movie Day! Kites, Letters, and Movie Day! 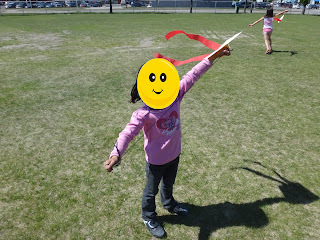 On Wednesday, we read the book "Curious George: The Kite" and then decorated our own kites. I found these super easy instructions here. We just used 8x11" manilla tag or cardstock, long wooden stir sticks, masking tape, crepe paper, string, and crayons! 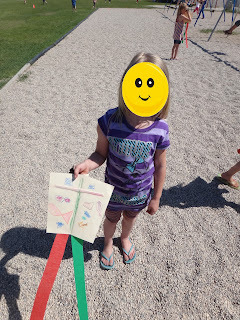 Super easy prep (I did pre-fold the kites, but it didn't take long) and the kids had so much fun with it! 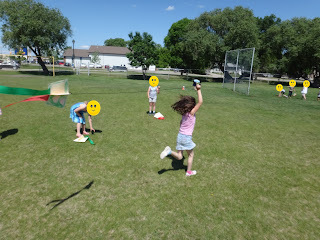 Even though it was a really hot day and absolutely no wind, we still had a blast flying the kites. They just had to make their own wind by running like crazy. It tired them out, so I was ok with that! 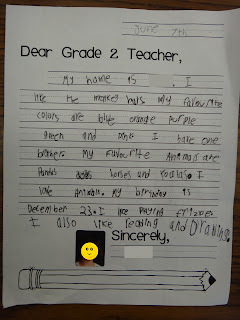 Thursday was "L" day of our ABC countdown, so we wrote letters to our second grade teachers. 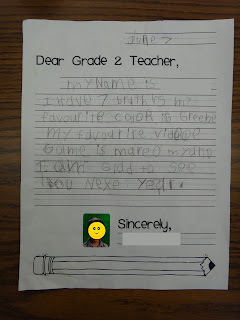 I told them to to tell their next year teacher all about themselves! 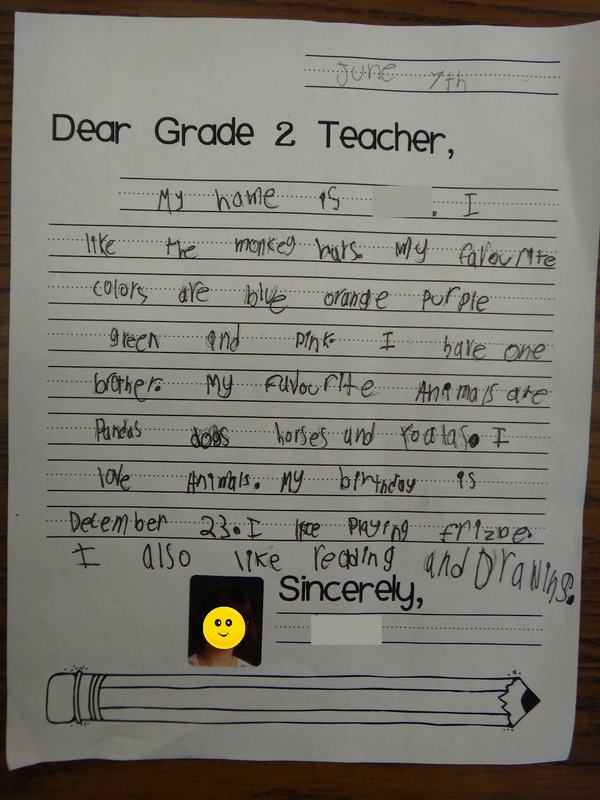 I find it is a great insight into their writing and spelling skills to pass on to the second grade teachers. 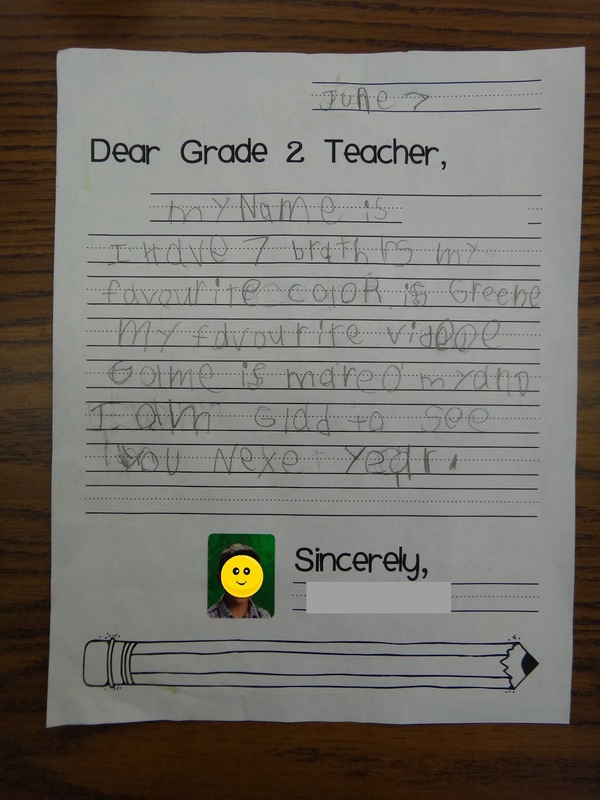 We get little photo stickers of our students from the company that does our school pictures at the beginning of the year, so I stuck one of the pictures onto the letter so the teachers can put a face to the writing. I've uploaded my letter here if you are interested... 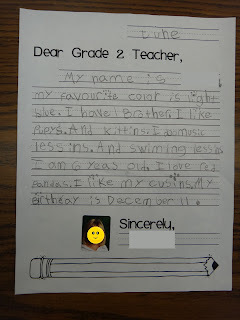 I also included pages for Grade 1, 3, and 4. Enjoy! 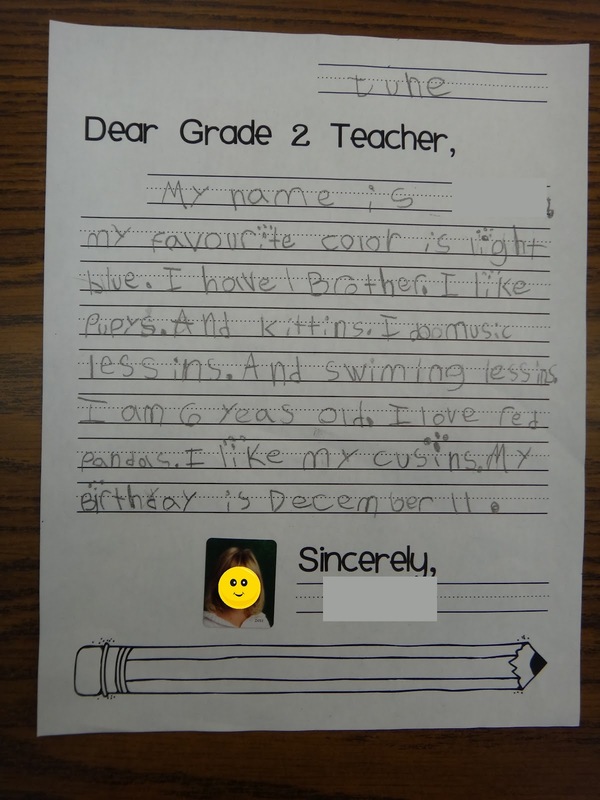 While I was starting to clean out my room, I found a stack of writing that the kindergarten teachers had given us at the beginning of the year and I am just shocked at the difference in their writing. I am so proud of how far they have come! Well, Friday was all gray and rainy, so it was the perfect day for letter "M". 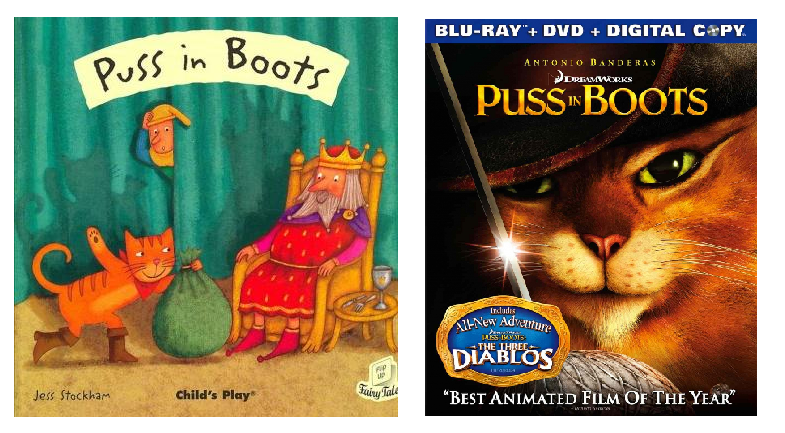 Movie Day! 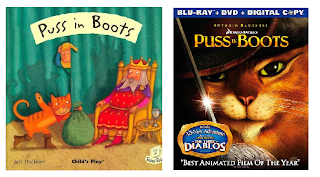 We are studying fairy tales right now, so we read the book "Puss in Boots" in the morning and then watched the video in the afternoon! Add in some juice and popcorn and it was a nice, relaxing way to end the week. We are half-way done our countdown! Thirteen more days with kids. I finally broke the news to my firsties that I was going to a new school next year... they were pretty sad. "Will you come visit us?" asked my little trouble-maker, always a handful student. Yes, I will even miss him. :) I can see the tears coming on the last day (mostly me) but we'll have so much fun that we'll make it through. I've had a few meetings at my new school and I *love* my new teaching partner already. I'm sure I will love it there too. Well, happy weekend everyone! I am so jealous of you who already get to spend your weeks at the beach... but I will remember that in August when I'm still basking in the sun. ;) Cheers! We made kites really similar to those but I just used regular paper from the office and it worked great. 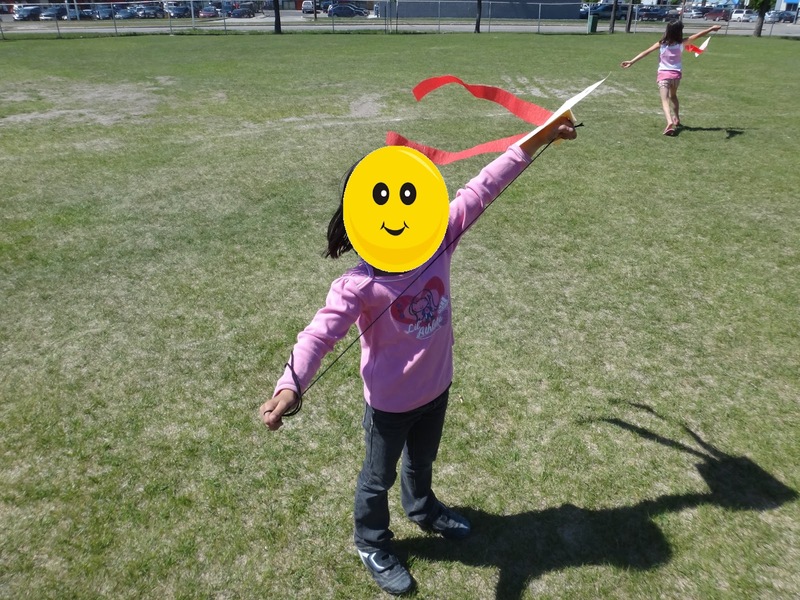 :) I'll have to remember the Curious George book for next year's Kite Day! A great teaching partner makes such a huge difference, so glad that you'll be getting a great one! Skunks, More Summer Countdown, and Pete!